My grandma was cleaning my house the other day while she was puppysitting me, and she put out all these toys. I thought they would all be for me, but then she put theme high on the shelves and I couldn’t get to them. When mom came home she gave me one, but took it away. 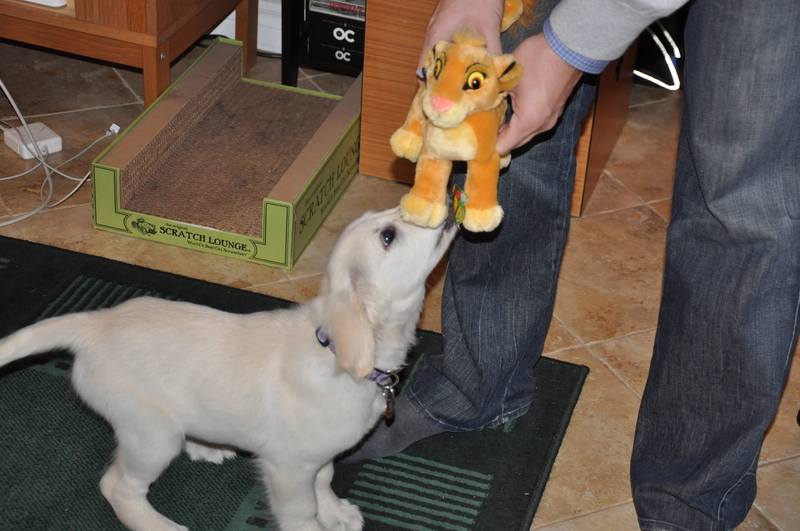 She called it Simba, and I think there was supposed to be some meaning in it. Anyway, he was really fun to play with and I was biting the toy and carrying it around in my mouth, but then she took it away again.